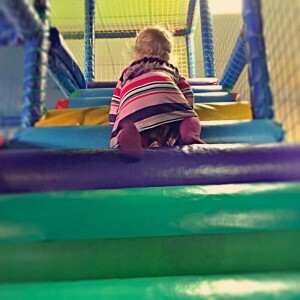 The little lady and I took her Auntie to her first ever soft play the other day to let both of them have a run around! We took a trip to Whale Of A Time in Shawlands to try it out. The toddler area is great. There’s a ball pool, a bunch of toddler toys & a whole area for them to clamber around in, ending in a slide, obviously! 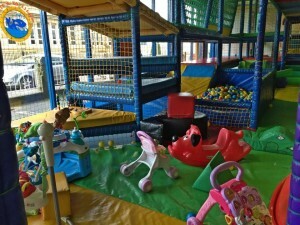 The main soft play area isn’t massive, but it’s very suitable for toddlers; there are lots of bits to crawl around in & quite a few slides. They do a toddler morning on Wednesday’s & Thursday’s with £2.60 entry from 9.15am until 11.30am, all coffee is £1 and a free slice of toast. Weekdays after 11am they have unlimited play time, so you won’t have someone yelling your name over a tannoy after an hour! It’s perfect for toddlers; probably the most toddler friendly soft play we’ve visited. It’s not huge, so it’s probably less suited to older kids. 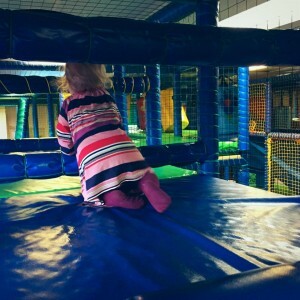 Cost £3.80 entry – worth it to tire both her & her auntie out!